Aggression, frustration, and fear are no fun for the dog or for the caretaker. If you have a dog with these issues or you work with these issues in your training or behavior mod business, this course is for you. 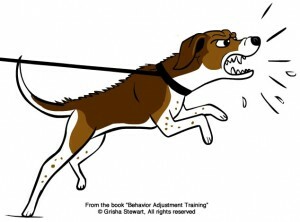 Behavior Adjustment Training (BAT) has quickly become one of the most popular force-free techniques to rehabilitate and prevent (over)reactivity in dogs and even other species, like horses and even humans. This is your chance to start adding this useful, naturalistic technique to your training toolbox. BAT 101 is appropriate for beginners. Even if you are experienced with the older version of BAT, this will still be useful because there was a lot of new BAT 2.0 material in 2014. If you are enrolled in this course and have an ABBA membership, you can participate in the Facebook group for peer feedback. This is a member-moderated group for Grisha's students. 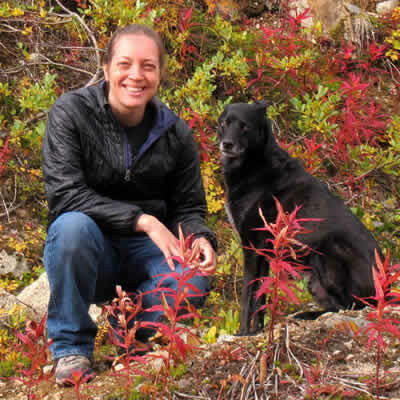 "I was looking for anything that would help us with the elusive loose leash walk. I was not disappointed. Once my golden is wearing a harness and I use the described rope leash technique, he is almost a gentleman. I can walk in a store with him casually sniffing bags of dog food and even politely greeting people. Wonderful. We even went for a run together. Thank you." BAT is for fear, too, not just aggression. Most barking, growling, etc. is from fear, anyway. This course was written by Grisha Stewart, MA, CPDT-KA, KPACTP. 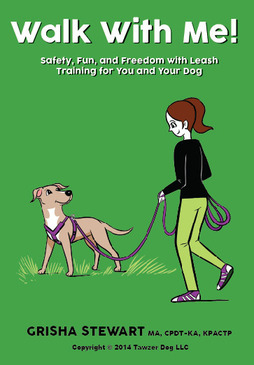 Leash skills will be heavily emphasized in this intro course, because they are the very foundation of BAT. 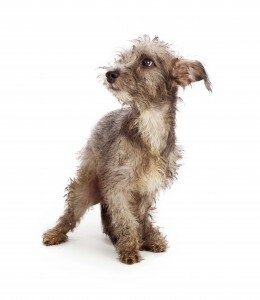 It is essential to be able to give the dog a sense of freedom while maintaining safety. The leash skills are not just something we do before we do BAT, they are the fabric that holds BAT together. Once a client fully masters the leash skills, they are probably already 80% of the way toward doing BAT successfully. Here are the list of topics. The links will work if you sign up for this course and log in. Lesson 1: (BAT Overview) What is BAT? Lesson 3: (BAT Overview) Treat Party – not really BAT but GREAT! Save on your course by getting a Building Blocks membership at the same time. Members get discounts here in the Campus Store, plus unlimited access to tons of video lessons. * Student Members get access to tons of how-to videos, discounts in our Campus Store, and access to other resources in our community. Doesx not automatically renew. ** Pro Members get all of the Student Member benefits, plus bigger discounts, Animal World Superstars interviews, and more features for dog trainers. Hobby trainers are welcome - you not be a working professional. Does not automatically renew.